Party Wall Agreements. Do You Need One For Your Basement Conversion? 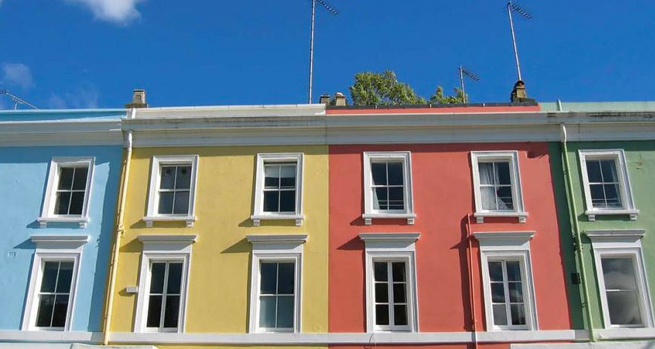 When Is A Party Wall Agreement Required? Prior to undertaking work on a party wall you need a Party Wall Notice or Party Wall Agreement (technically called a Party Wall Award). A party wall is the shared wall, usually between a terrace or semi-detached house, and divides the homes of two separate owners. In the home, Party Wall Agreements are most commonly needed for building works that involve loft conversions, the insertion of damp proof courses and the digging of new foundations (as would be required in building an extension). However, Party Wall Agreements are also required where excavations are close to a neighbour’s property - within three or six metres, depending on the depth of the new foundations. Almost without exception, a basement construction will require a Party Wall Agreement. Before party wall building works can start, the homeowner (Building Owner) needs a written Party Wall Agreement from all affected neighbours (Adjoining Owners). A surveyor has to be appointed to prepare a Party Wall Award (the agreed document outlining how the works should progress). Serving notice can be done for free, using appropriate standard forms or by a party wall surveyor for a flat fee. A letter of acknowledgement for the neighbour to complete and return is usually included. A homeowner has to give two months written notice on building works which affect a party wall or boundary, or one month’s notice for excavations. In such straightforward cases, there is no need to appoint a party wall surveyor or have a Party Wall Award. The homeowner should take dated pictures of the party wall and ideally have agreed written notes of any cracks, with copies for both. Or a surveyor could be appointed to assess and prepare a schedule of condition to minimise the risk of disputes later. This should be done shortly before the work starts. In this case, both homeowner and neighbour can appoint ONE Agreed Surveyor, usually within ten days, who can act impartially for both. The agreed surveyor should be independent and NOT the same surveyor the homeowner might be using for their own works. Otherwise their neighbour is unlikely to view the surveyor as neutral. The Agreed Surveyor produces an “Award” which details the works proposed and a schedule of condition, including pictures, of the neighbour’s home. Surveyors’ rates vary between £150.00 and £200.00 per hour and a party wall award and surveyor costs approximately £1000.00. C. Each owner appoints their own surveyor. However, this is expensive for the homeowner who is responsible for the costs of their neighbour’s surveyor as well as their own. It is important that all these options available to the neighbour, are explained clearly in the notice. Before posting a Party Wall notice through your neighbour’s letterbox, which can appear intimidating, have a friendly chat first. This is an opportunity to show sketches of your proposed basement and explain the planned works. It is worthwhile adding that a formal notice will be sent later. It is reasonable for your neighbour to ask for the contact details of your surveyor and/or building company for further information and reassurance. ii) Not informing all the affected neighbours. This includes the freeholder and anyone with a leasehold longer than a year. If you live in a terraced house, neighbours on both sides may be affected depending on the works. A homeowner living next to flats, may need to serve notice on a number of different people. Check property ownership via the Land Registry. iv) Not using the standard, or wrong form of notice. The form of notice for excavating foundations is different from a party wall. Remember, one building project may need more than one type of notice served on each affected neighbour. Two months and one day later: building works can begin, assuming the party wall award has been agreed. One year and one day later: building works must have started. We have excellent relationships with a number of surveyors and can appoint one to act on your behalf. Follow the due process. Simple.